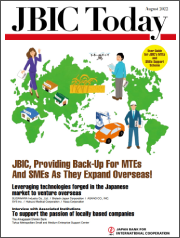 An information magazine on JBIC's various activities and topics. 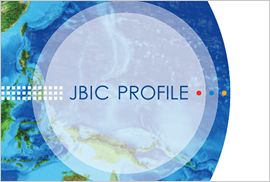 Top Interview：Changing the corporate culture and acting as a "spearhead"
Koji Fujiwara, President & CEO of Mizuho Bank, Ltd.
An annual report on JBIC activities and finances. 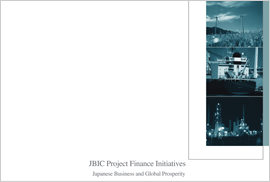 JBIC performs its role and functions to advance Japan's external economic policy. 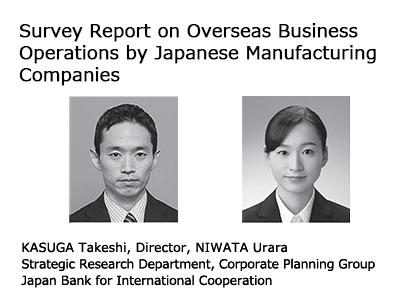 The objective of the survey is to understand the current trends, agenda and future outlook of the overseas business operations of internationally active Japanese manufacturing companies. 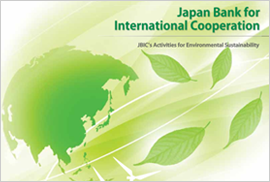 A report on JBIC's environmental procedures and activities. 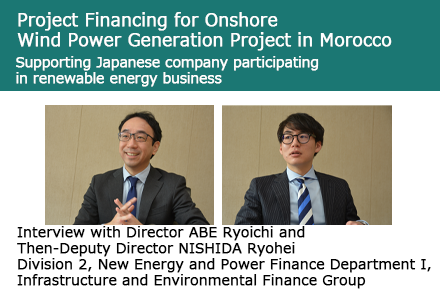 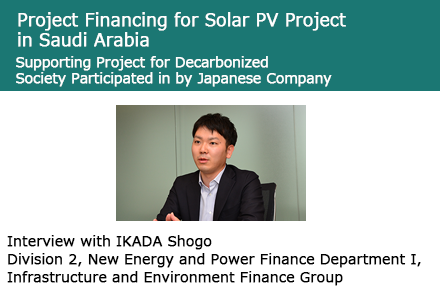 through interviews with JBIC employees involved in them. 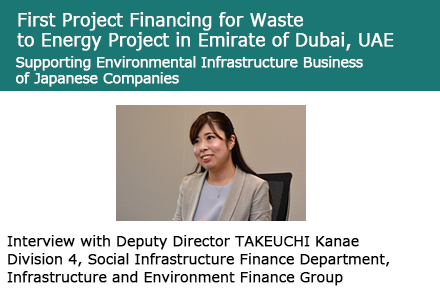 region, fiscal year or sector.